Two dancers took their positions upstage right, a third dancer, mid-way left, all costumed in flowing tropical fabrics. Sometimes they danced in unison; sometimes on their own; sometimes in pairs. But whatever the format or sequence, every motion expressed and conjured waves, arcs and circles. Fast and slow, partial and complete, arms swam and hips pivoted. Parallel degagés mapped the curved pathway that the leg creates in the air. And the entire trio was constructed with an interesting fusion of contemporary vocabulary and traditional island dance. 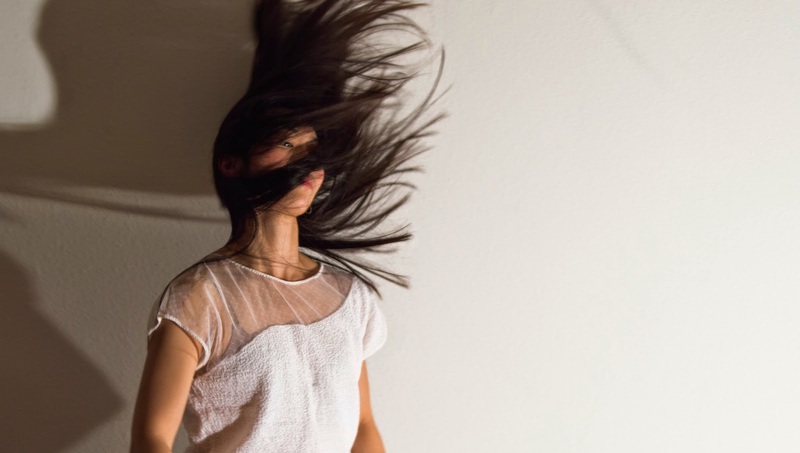 Beneath Wakea by Kelly Del Rosario kicked off the inaugural weekend of Project CastOff, a new artistic endeavor being undertaken by members of the Margaret Jenkins Dance Company. Project CastOff is a creative opportunity. A chance for these accomplished dance artists to present their own original choreography, together on a shared program. This first iteration showcased six new works; a diverse collection from the next generation of contemporary choreographers. It was a great night of modern dance and I hope that Project CastOff sees many more editions in the years to come. Act I continued with Megan Wright’s Did He or Didion, performed by Wright along with Robyn Gerbaz. Two paper bags were placed on the stage and Gerbaz began by reading a Joan Didion excerpt aloud. A dance theater work, Did He or Didion examined how the body and persona react to change, perception and expectation, from both internal and external stimuli. Much choreographic material was packed into each movement phrase, and some lovely moments shone through. Wright stood in first position demi-plié, and her feet almost climbed out and adjusted into parallel. Theatrical repetition was also utilized in the piece – a classic dance theater tool that simultaneously provides emphasis and anesthesia.